Former Students Job Shadow at Brockbank! Recently the junior high schools held their job shadow day. Seventh-graders had the opportunity to go to work with a parent or someone and job shadow them for the day. Brockbank was lucky to have several students come to our school and do their job shadow. Kylie Eichler from Diamond Fork Junior High and Jessica Mitchell from Spanish Fork Junior each helped in the office at Brockbank for their job shadow. It was fun to have these two former students come and help out and hopefully they learned something about working in an office. Read more about Former Students Job Shadow at Brockbank! Brockbank First Graders Learn the Importance of Brushing Their Teeth! Recently five wives of local dentists came to Brockbank as part of the Dental Alliance to educate first-graders about the importance of brushing their teeth and oral hygiene. To make it a fun learning experience they put on a fun puppet show for the students. Read more about Brockbank First Graders Learn the Importance of Brushing Their Teeth! Brockbank Kindergarteners Enjoy Teddy Bear Day! Brockbank kindergarteners recently held their, "Bring your Teddy Bear to school day". Students had the opportunity to bring their favorite teddy bear or other stuffed animal to school to spend the day in class learning and playing with them. One activity they did together was playing math games and eating teddy grahams. When it was time for the students to go home, the teddy bears got to stay and have a slumber party at school. The next day when the students came to school they found out that their animals had made a mess in their learning centers. Read more about Brockbank Kindergarteners Enjoy Teddy Bear Day! Brockbank Students Make Creative Valentine Boxes! Read more about Brockbank Students Make Creative Valentine Boxes! Brockbank Librarian Motivates Students to Read! Brockbank librarian, Mrs. Peggy Rothaug just finished hosting a book club for grades 3-6. Students interested signed up and then names were drawn to see who would be in the book club. Because of the availability of books it was limited to 10 students from each grade, each grade read a different book. One day a week during the students lunch hour they would meet in the library, students were given approximately three weeks to read the book. To get the students excited they watched trailers about the book. Then each week they would meet and talk about the characters and interesting parts. Read more about Brockbank Librarian Motivates Students to Read! Brockbank Kindergarteners Celebrate "100 Days of School"! Read more about Brockbank Kindergarteners Celebrate "100 Days of School"! Brockbank First Graders Celebrate 100 Day! Brockbank Elementary recently celebrated "100 Days of School!" Students celebrated this day in several different ways. First-graders used the number 100 in math skills like counting and place value; they wrote down 100 words that they have learned how to read and write this year; they drew pictures of what they would look like if they were 100 years old; they made cool glasses to wear; and they named 100 things you can eat and 100 things you cannot eat. Read more about Brockbank First Graders Celebrate 100 Day! Members of Spanish Fork High School's PTSA Club Came to Brockbank! Recently some members of the Spanish Fork High School PTSA (Parent Teacher Students Association) came to Brockbank. PTSA is a club that helps students get involved in their community by performing services. For one of their service projects they came to Brockbank and interacted with first-graders. The first-graders really enjoyed spending time and connecting with these students. Out of the 23 members that came 13 of them attended elementary school at Brockbank. It was fun to see these students come back to Brockbank! Read more about Members of Spanish Fork High School's PTSA Club Came to Brockbank! Brockbank Hansen Heroes for January! 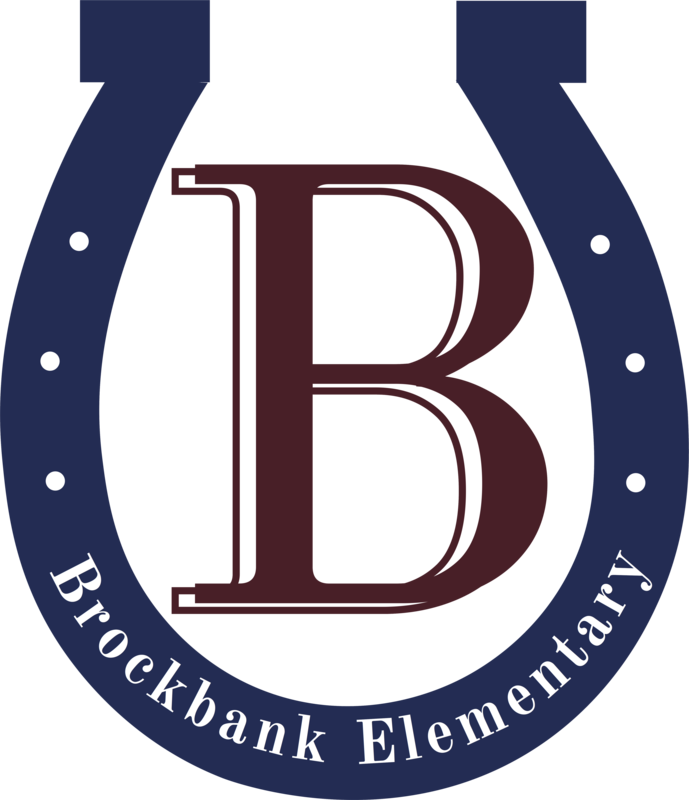 Brockbank Elementary is happy to announce the Hansen Heroes for January. Picture #2 - Ellie Sloan, Braxton Rasmussen, Rylund Michelson, Madysen Thornton, Trinity Benson, Principal Alison Hansen, Rebecca Sigafus, Carter Hansen, Logen Ashworth, and Victor Sanchez. Absent from photo; Alejandra Greenhalgh. Read more about Brockbank Hansen Heroes for January!